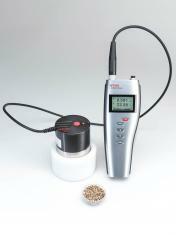 Measuring devices by Campbell Scientific enjoy an excellent reputation worldwide. Campbell Scientific (Canada) Corp. (CSC) in Edmonton, Alberta, Canada, stands for high quality data acquisition systems and data management services. Switzerland has around a dozen duty-free warehouses. These warehouses are transit zones for the storage of goods, whose main advantages are the temporary suspension of customs law and taxes. They benefit not only from a location in the heart of Europe, but also from legal and political stability. The company Ports Francs et Entrepôts de Genève SA, in which the Canton of Geneva holds an 87% interest, is domiciled in La Praille, where it manages a floor space of 150 000 m² , half of which under the Swiss customs regime (duty-free). The company also maintains storage space (10 000 m²) in the cargo hangar at the international airport in Geneva. This dynamic company in Como has been manufacturing automatic equipment for the pharmaceutical sector for more than 25 years, relying on Swiss precision. This high performance drying unit is the first to allow the necessary regeneration to be dynamically adapted to the requirements. Keppel Logistics operates world-class logistics facilities with state-of-the-art IT infrastructure, and relies on the new Rotronic Monitoring System in their warehouses. Do you still remember your schooldays? Following a lesson in mathematics, the air in the classroom was stale and stuffy. This problem has grown worse today as law requires many buildings to be airtight, meaning basic ventilation no longer exists. This “Meine Raumluft” an independent platform whose aim it is to improve the quality of indoor air wishes to change. In its project involving 100 Swiss classrooms the quality of room air was measured using CO2 displays from Rotronic. They enable easy and practical measurement of air quality, temperature and humidity in rooms. The largest archaeological museum in Switzerland – the Laténium in Neuchâtel – stores more than half a million artefacts from the Neanderthal era to the Renaissance. The worst enemy of all these ancient relics: variations in air humidity and temperature! The museum, which is not air-conditioned, has used probes to monitor the climate on its premises since 2001. Since they were outdated, they were replaced with Rotronic probes – ultra-precise “high-tech spies” that are connected to special software to enable control of all glass cabinets, exhibition rooms and storage areas. In other words, perfectly monitored energy efficiency. We all know the situation: meetings where individuals‘ performance drops sharply. In most cases, this is a direct result of the poor quality of the air in the room. JOWA AG Pasta Buchs has been the largest manufacturer of pasta products in Switzerland since it was founded. It is important for the company that its production operations run smoothly and meet strict quality standards. Probes from Rotronic measure the climates in the factory’s six production lines, which to a large part manufacture dried pasta for the retailers Migros. Some of the almost indestructible probes have been in use for more than 15 years. To ensure that these instruments return correct data, they need to be calibrated and checked from time to time.